School is supposed to be a place of safety. Thankfully, it still mostly is. However, we are unfortunately seeing an increase in the amount of violent incidents, which naturally is cause for some alarm. Not even peaceful Scandinavia is untouched. 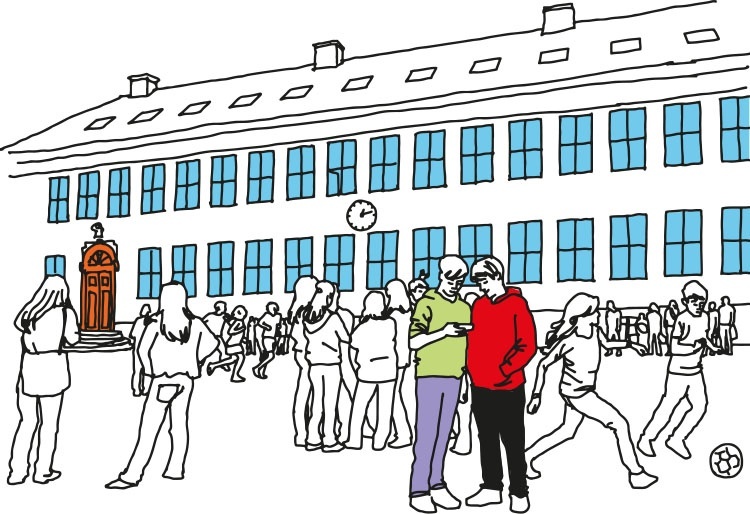 The Swedish teachers’ union have criticised the slow progress in securing the country’s schools (Swedish link), while 70 primary schools in Oslo have installed new alarm systems (Norwegian link). AddSecure School Safety is our way of making schools the safe havens they should be, through a communications and alarm system that allows for lightning fast dissemination of information, flexibility of response, and (if applicable) alerting the appropriate authorities. All this without becoming invasive and compromising the openness of our modern school system. Alert school system – A fully secure communications network that stretches across a series of “pagers”, phone apps, screens and external alarm centrals. Mobile app – A portable alarm panel on your phone (Android and iOS), with fully customizable scenarios for each user’s needs. Static buttons and panels – The system is easily integrated with existing or new alarm panels and buttons for classrooms, reception and staff rooms. Personal alarms – Portable alarms that use GPS and indoor position beacons to transmit your location, and may also be combined with pager functionality. Pagers – Separate warning devices that communicate through a private, high security network, unaffected by downtime in the mobile network. Permanent mini tablets – Attached to walls or desks, with the opportunity for pre-recorded warning messages. Information screens – Normally used to display regular messages about lessons or the cantina’s menu, which is overridden by critical information through a priority system. Speaker system – AddSecure School Safety can be integrated with existing speakers, or we can supply our own. The system may play pre-recorded speech alarms for a variety of purposes. External alarm centrals – The system immediately communicates with any major alarm centrals if external assistance is needed. What scenarios is it for? AddSecure School Safety is purposely very flexible, which means you’re able to get the right information out to the right people almost instantly, no matter what the actual threat is. It could be a fight in the schoolyard, a suspicious individual near school grounds, or a fire in the school lab. Most schools already have some contingency plans in place, and AddSecure School Safety helps you execute them a lot faster and easier, by predefining various scenarios and their response. A teacher spots a suspicious person right outside the schoolyard, and wants to alert her colleagues. She pushes the “increased readiness” button on the staff room alarm panel. All static panels displays increased readiness through visual and audio cues. All staff receive an SMS, warning them of the same thing. Once the person leaves, the original teacher presses a button to inform the threat is gone. A fight breaks out between teens in the schoolyard, threatening to get out of hand. A teacher uses his phone app to call for assistance through a simple button press. Within seconds, the predetermined action group is alerted through their pagers. The teacher gets help from other qualified adults to break up the fight. A potentially serious threat is spotted inside or right outside the school. A teacher uses the alarm panel in her classroom to warn that a suspicious individual is nearby. The school’s action group is alerted through their pagers, indicating what the problem is and to initiate a contingency plan. Other staff receive warning SMSes on their phones. Staff at other nearby schools are also alerted, so they can stop potential student visits or guest lectures. An alarm signal is sent to the proper authorities, like security guards or police. In case of fire or shootings, AddSecure School Safety may also be granted access to doors and windows, to be able to lock down part of the school. The scenarios are customizable, and may easily be fitted to your school’s needs. If you want to learn more about AddSecure School Safety, we’re happy to schedule a non-binding talk, and find a solution that fits the needs of your school.